Santa Sack | Keeps Me Out Of Mischief! I’m so excited that this Christmas little Billy will be old enough to join in the general excitement even if he doesn’t quite understand what on earth is going on! To start getting into the Christmas spirit I’ve made this Santa Sack for him. 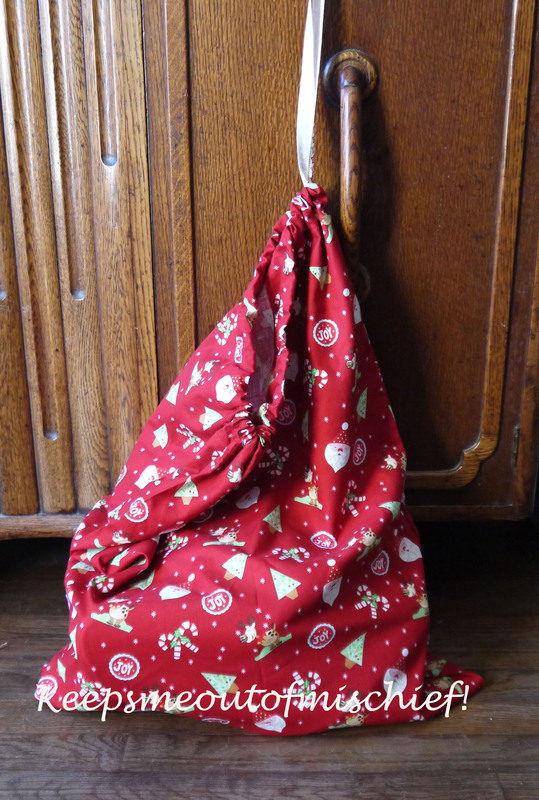 I decided that a sack shape would be more practical – you can’t fit anything into a stocking shape!